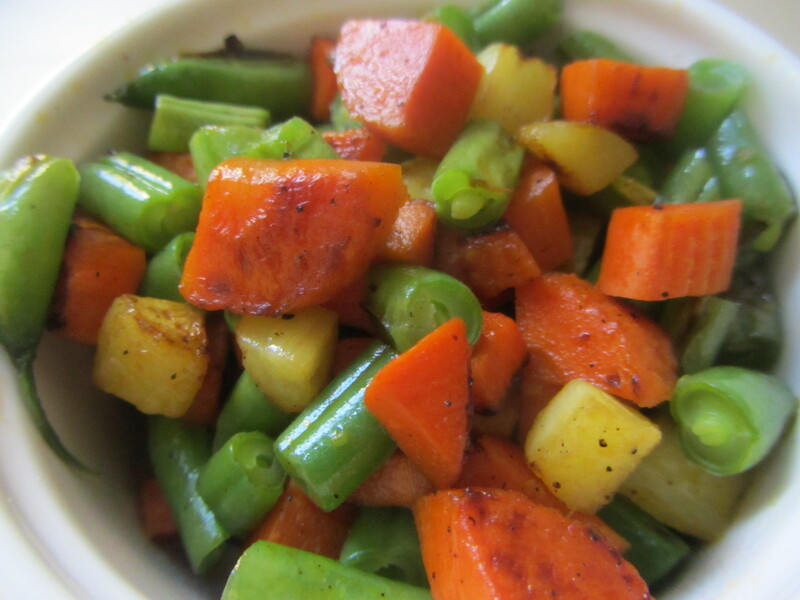 This is a variation on Peas and Carrots, one of the standard vegetable dishes I ate growing up. They were frozen,soft and a bit bland. These are fresh, slightly crunchy and full of flavor. 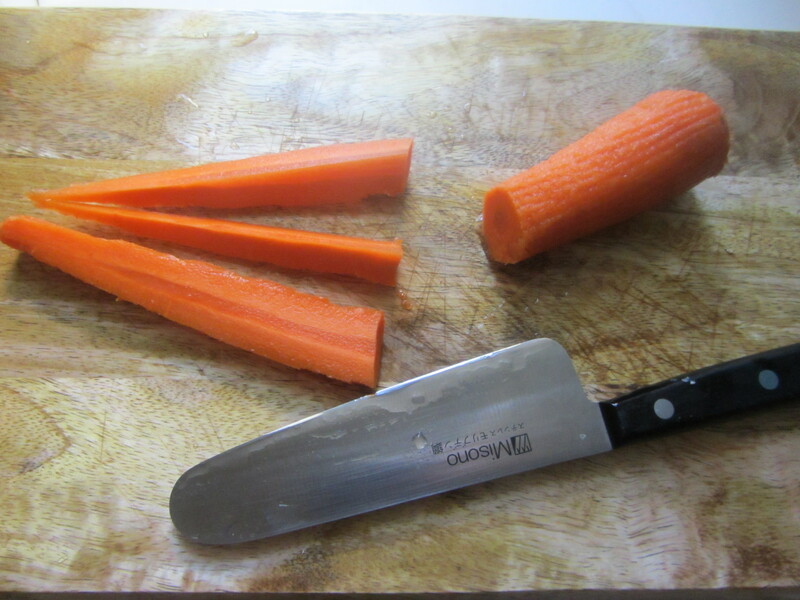 Process Scrape any tiny hairs and rough spots from each carrot’s outer skin and wash each carrot well. 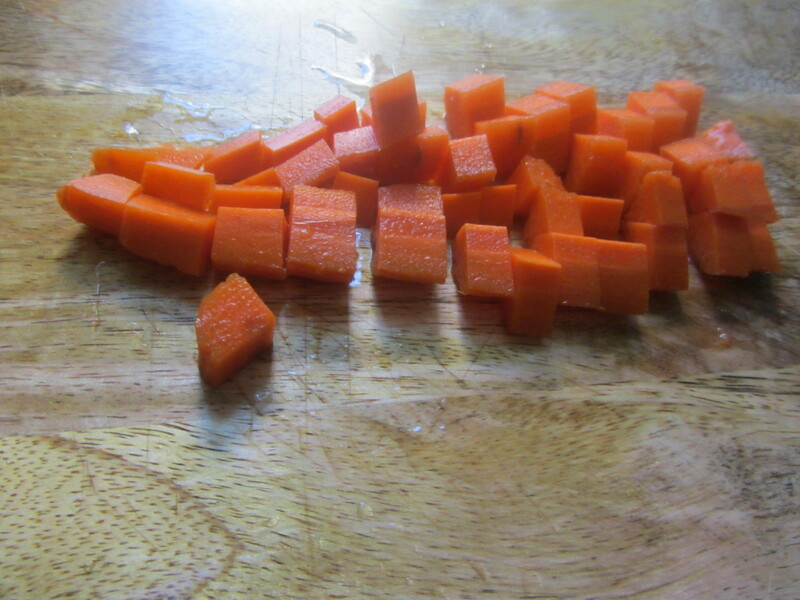 Cut each carrot in half; then cut each half in half, lengthwise. Cut each half again, in quarters. Cut the thin carrot “sticks” into small, half-inch-long pieces. Set aside. Remove the tough brown ends of each string bean. Wash the beans well by immersing them in water. 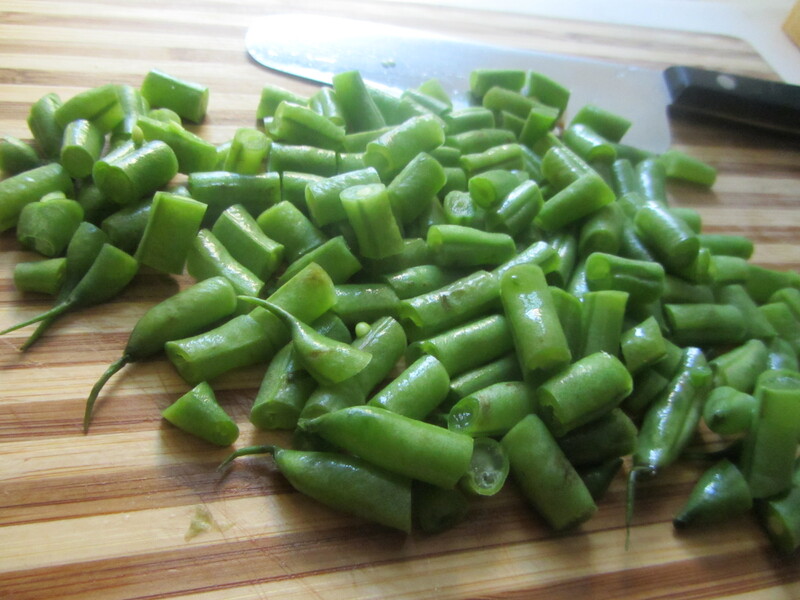 Cut each green bean into half-inch-long pieces, similar in size to the carrots. Heat a cast iron skillet for about 30 seconds on a medium flame. Add the olive oil. 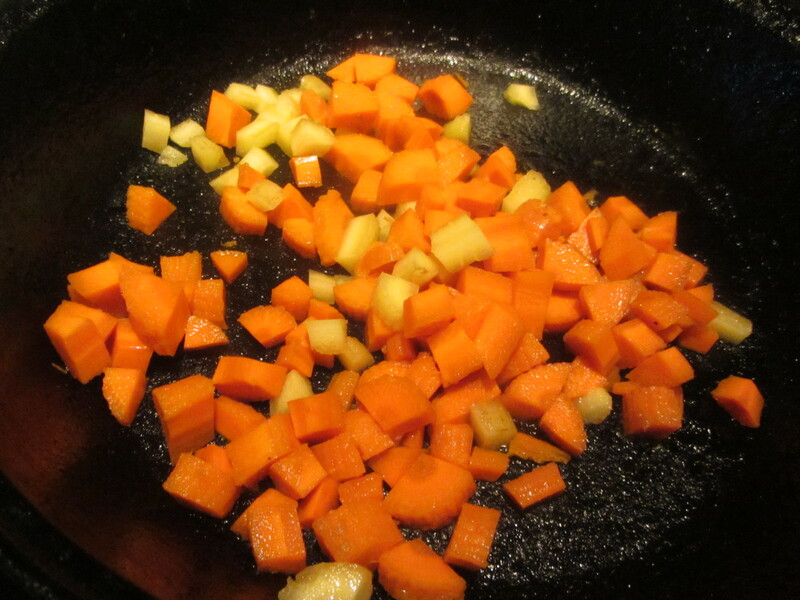 Next add the carrot pieces; they will sizzle when they hit the pan. Use cooking chopsticks to heat the cubed carrots on all sized. When they begin to brown, add the string beans. 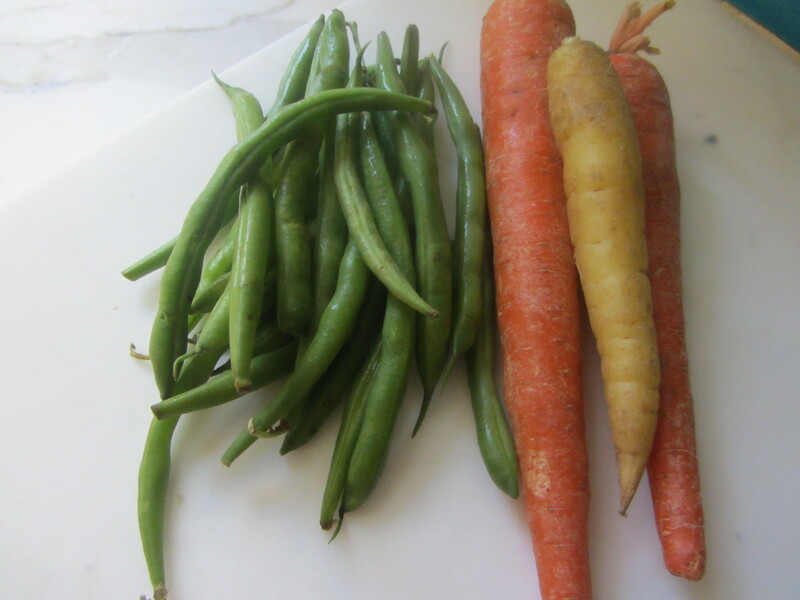 Cook the beans and carrots together until all are golden brown on all sides. Remove from pan and serve in individual bowls.